Now you can get yout Deus Ex on way ahead of Deus Ex: Mankind Divided! Deus Ex is making its way to mobile devices on August 18th in the form of Deus Ex GO. 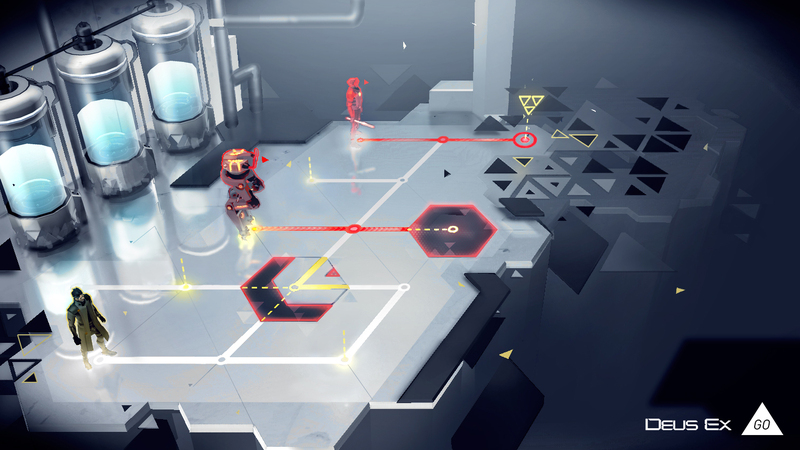 From the same studio that brought us Lara Croft GO and Hitman GO, Square Enix Montreal, it's releasing this Thursday on both iOS and Android. This entry in the Go franchise will get a puzzle-making tool shortly after launch that players can utilize to make their own puzzles and share online. And considering the sadists who made their own Super Mario Maker levels, I'm sure there'll be a ton of weirdness populating the servers soon enough after release for the app to be well worth your time. Pick up the game when it drops Thursday, August 18 and give it a try!